In an effort to establish clear guidelines for physicians in treating lung nodule patients, two UC Davis researchers will assist in a major national study to improve surveillance practices for patients with small, low-cancer-risk lung nodules identified with CT imaging. As a major portion of the funding for this bioresearch, UC Davis was given a 5-year, $2.3 million grant from the Patient-Centered Outcomes Research Institute (PCORI) (2/2016). This funding was part of a $64M program to answer critical questions about cancer care, back pain and stroke. Principal investigators on this project include Diana Miglioretti, UC Davis Dean’s professor in biostatistics and cancer center researcher, and Karen Kelly, professor of medicine. “The goal at the end of the day is to have one clear guideline about how often these patients should be followed up with low-dose CT imaging,” Miglioretti said. The research team will continue by studying 47 thousand patients with small lung nodules divided into two groups: those who will follow their patients with more surveillance using low-dose CT, i.e., at six, 12, and 24 months, and those who will provide less follow-up, i.e., at 12 and 24 months. In addition to the ongoing studies at UC Davis, new methods of lung nodule detection and identification from Veran Medical are being developed, allowing researchers at Morehouse and Emory University to assess lung nodules more efficiently. Newer studies, published in The Internet Journal of Pulmonary Medicine, use Veran's new diagnostic tool, the SPiN Thoracic Navigation System, to locate and sample hard-to-reach lung nodules with a higher degree of precision using tiny electromagnetic sensors. Past studies have shown that lung nodules move as a result of a patient coughing, moving, or simply breathing. This creates a moving target, causing great difficulty during surgical diagnostic procedures. Veran’s novel 4D dynamic respiratory technology gives physicians the ability to reach evasive lung nodules, even if a patient's lungs do not remain perfectly still during the procedure due to breathing or other movement. Together, the Davis team and the Morehouse/Emory team are working to improve the lives of lung nodule sufferers by ensuring that they are diagnosed as early and acurately as possible. 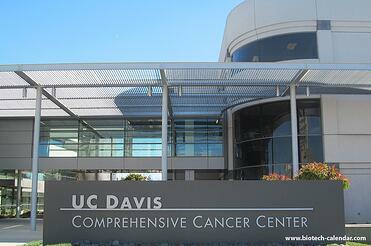 UC Davis has almost 1,000 basic science, translational and clinical research studies in progress. These programs are made possible through state and federal funding, as well as grants from private foundations, including the pharmaceutical and biotechnology industries and philanthropic donations. $10 million to UCD researchers will fund the establishment of a center for Schizophrenia research which will emphasize a collaboration between basic and clinical research. A $8.5 million CA Stem Cell Agency grant was awarded to UC Davis researchers investigating stem cell applications for treating HIV/AIDS patients. Three separate NIH grants totaling $3.5 million will fund a UC Davis researcher looking to identify chemical mechanisms that can protect the central nervous system during specific types of seizures. UC Davis Research lab product suppliers are invited to exhibit thier products and to meet with UC Davis researchers to educate them about the newest lab technologies available. The upcoming 19th Annual BioResearch Product Faire™ will be held at The UC Davis Medical Center on January 18, 2017. The 2017 Emory University Bioresearch Product Faire™ event is being held on 3/23/2017 and still has lab supplier exhibit space available.